Israel fires: Netanyahu says ‘arson is terror’ as Palestinians help tackle blazes – Coercion Code – "Dark Times are upon us"
The Israeli prime minister has warned that “arson is terror” and will be punished as such, as the Palestinian Authority pledged to coordinate directly with Israeli authorities to help tackle wildfires that are engulfing the country. 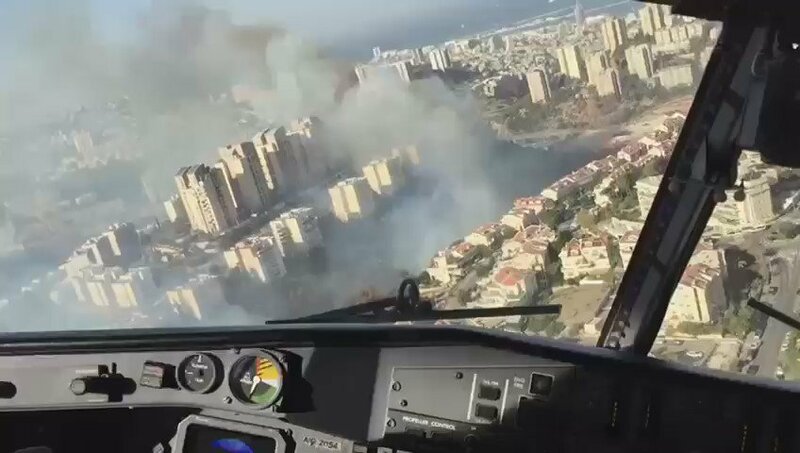 Hundreds of people were evacuated on Friday from Beit Meir, a cooperative village of religious Jews located in the Jerusalem hills, after some 60,000 people had to leave their homes in the mixed city of Haifa – the third biggest in Israel – as blazes threatened to consume the town on Thursday. Addressing the crisis, prime minister Benjamin Netanyahu said that arson, or incitement to arson, constitutes “terror”. His comments were slammed by the Arab Higher Monitoring Committee, which said they were tantamout to “incitement” against the Arab citizens of Israel. Netanyahu has come under criticism over his handling of the crisis, with some officials who spoke anonymously to Israeli news site Haaretz saying that the response to the wildfires has been mismanaged. 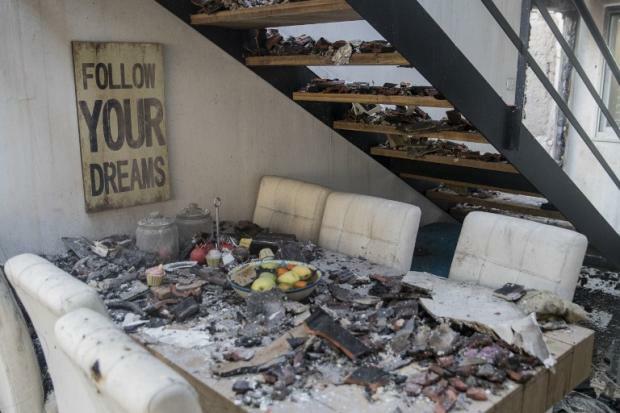 Israel’s public security minister Gilad Erdan said on Friday that there is evidence that the original fire was set deliberately. Amid fierce controversy over what Israeli media are dubbing the “Arson Intifada,” the Palestinian Authority said it will send civil defence teams and fire trucks into Israel to work alongside their Israeli counterparts to tackle the crisis. Palestinian civil defence teams had previously been working to tackle blazes in the West Bank, some of them close to illegal Israeli settlements, but Friday’s announcement means that Palestinian firefighters will now work inside Israeli territory. Israel has accepted the offer of help. Palestinian fire teams previously worked with Israel in 2010, when a fire in Mount Carmel just south of Haifa spread quickly through dry forest areas. 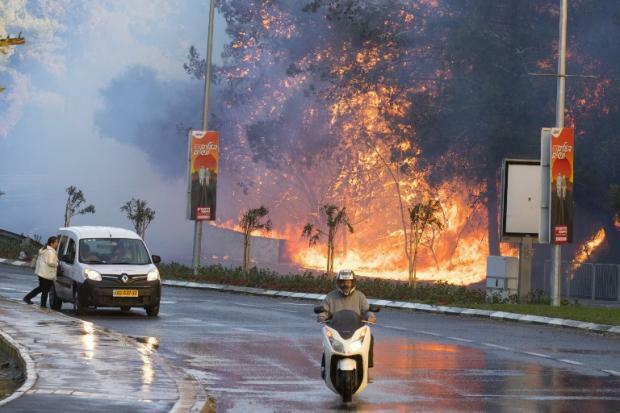 Forty-four people were killed, making it the deadliest forest fire in Israel’s history. Egypt and Jordan on Friday joined a number of countries – including Russia, Greece and Cyprus – which are sending aid to Israel. 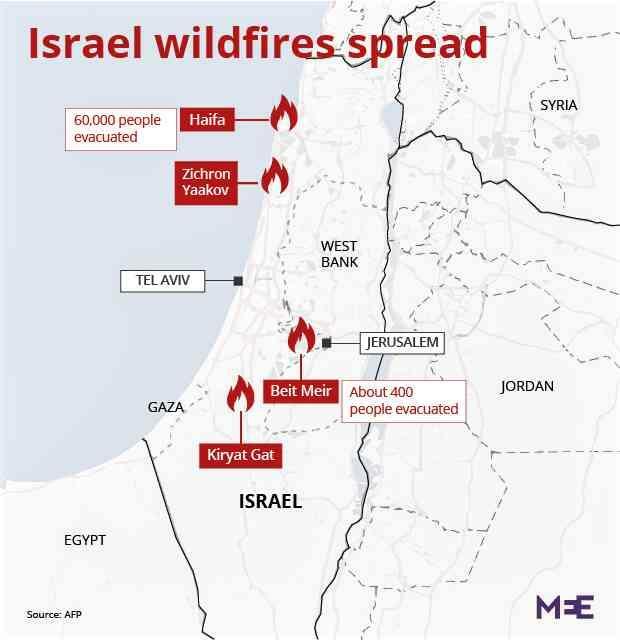 Around half of this year’s blazes are thought to have been caused by arson, Israeli officials said on Thursday. Israeli authorities have arrested at least 12 people, some for criminal negligence leading to accidental fires and others for arson. One Israeli conscript is under investigation after allegedly dropping a lit cigarette in dry woodland, causing fire to spread rapidly through the forest. Israeli security forces including Shin Bet also arrested a Palestinian journalist for “incitement” after he appeared to call for more fires to be set, saying they were “divine retribution” for a new Israeli law that bans the Islamic call to prayer. Anas Abu Daabes was arrested from his home late on Thursday after writing a Facebook post that appeared to celebrate the fires and call for more to be set.